"Economics is not heartless", writes Nicola, and she somehow proves that with this delicious post on the economics of traditional knowledge (TK) as it relates to indigenous peoples. After Nicola’s economic analysis, TK is immediately back on the agenda thanks to Katfriend Mira T. Sundara Rajan, who writes about the treatment of an indigenous minority culture in Canada. * Email addresses as a trade secret; email addresses as a Trojan Horse? Bezos keeps applying solutions from the technology world to the challenges of newspaper journalism. Among these challenges: what role do subscribers’ emails play, wonders Neil. * Knowledge is Power; Traditional Knowledge is ... ? The trouble with TK is that there is a very unbalanced dialogue between the parties involved in the debate moving towards a proper international TK system, writes Darren. Following on from the first two TK posts of the past week (here and here), you can ponder over Darren’s current concerns on that issue. The Court of Justice of the European Union (CJEU) has just delivered its judgment in Case C-170/13 Huawei Technologies Co. Ltd v ZTE Corp., ZTE Deutschland GmbH. a reference from the Landgericht Düsseldorf on a matter of great concern to the standard-essential patent (SEP) community. Jeremy brings the breaking news. Here's a decision in Case C-580/13 Coty Germany GmbH v Stadtsparkasse Magdeburg, a reference for a preliminary ruling from the German Bundesgerichtshof seeking clarification as to whether national provisions allowing banks not to disclose alleged infringers’ data on the basis of banking secrecy is compliant with the ruthless IP Enforcement Directive. Jani has often pondered whether the mere use of a part of a trade mark, or the inclusion of a mark in a new variant of a name, could prevent the registration of a new mark. He has finally got his answer, kindly provided by the General Court in Case T-621/14 Infocit - Prestação de Serviços, Comércio Geral e Indústria, Lda v OHIM. If you are keen to consider the moral ambiguity of trade secret protection and exploitation, especially where national interests are at stake, then this post by Neil is what you were waiting for. Jeremy explains Case C 379/14 TOP Logistics BV, Van Caem International BV v Bacardi & Company Ltd, Bacardi International Ltd, a juicy trade-mark case where the CJEU focused on the boundaries of trade mark owners’ powers, providing guidance, among other things, as to whether the mere storage of infringing products may amount to trade mark infringement. * Letter from Japan 2: non-traditional trade marks embraced as new tradition? Late on an otherwise quiet Sunday night comes Laetitia Lagarde’s second blog post from Japan (the first, on product placement, can be read here), where she is spending some time imbibing the local IP experience, making friends and practising her karaoke technique. This time, Laetitia tells us a bit about non-conventional trade marks. 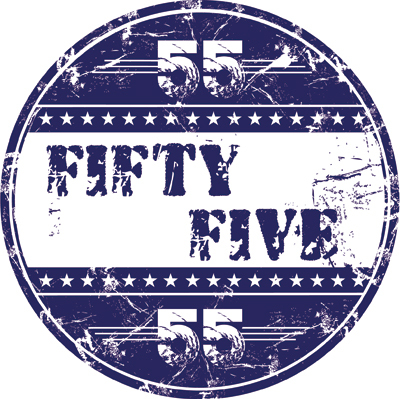 Never too late 51 [week ending on Sunday 14 June] - GIs in France | IPBC Global 2015 | EPO recap | EPO and OAPI bff? | 3-D Lego trade mark | Garcia v Google | B+ subgroup | EU trade mark reform and counterfeits in transit | French v Battistelli | US v Canada over piracy | UK Supreme Court in Starbucks | BASCA v The Secretary of State for Business | Patent litigation, music, politics | Product placement in Japan.